Grasses used in Massachusetts generally consist of bluegrass, ryegrass, fine fescue, or mixtures of these grasses. Some people are using zoysia grass in MA. 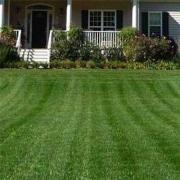 This is a warm season grass that will go dormant and turn brown during all cold months (approximately 6 months) in MA. 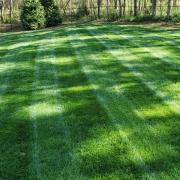 Kentucky Bluegrass - This high-quality turf has a nice green color and good recuperative ability. But, it damages easily, suffers from heat and drought, requires moderately high maintenance, has a tendency to thatch, is susceptible to many diseases, and is intolerant of shade or salt. 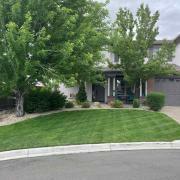 Perennial ryegrasses are bunching cool season grasses that are compatible in appearance with bluegrass, do not form thatch, have good heat tolerance and may be drought resistant. They tend to be disease prone and offer poor freezing tolerance if flooded or exposed to wind. Perennial ryegrasses is designed for full sun areas, but will tolerate some shade. 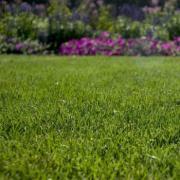 Ryegrass is bred to give a pleasing dark green color, with a fine texture and excellent mowing qualities. 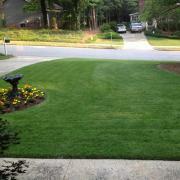 Is also a very good choice for blends with Kentucky Bluegrass and Fine Fescue. Fine-leaf Fescues - Fine fescues have an extremely narrow, almost needle-like leaf blade. They are included in turfgrass mixtures for their excellent shade tolerance. 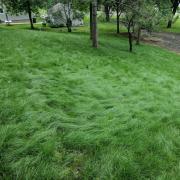 Fine-leaf fescue often appears in neglected lawns because it withstands a high pH. Due to its fine texture, fine-leaf fescue is often difficult to mow. 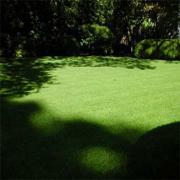 Zoysiagrass - This is the only warm-season grass grown as a lawn in Massachusetts. Zoysia is easy to identify because its leaves are covered with stiff hairs. It remains brown well into the spring and turns brown again with the first fall frost. Zoysia is very invasive and is often a bone of contention between neighbors. 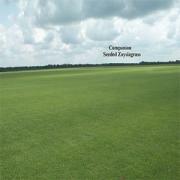 The only logical place for zoysiagrass is at a beach residence where it is viewed only during the summer. 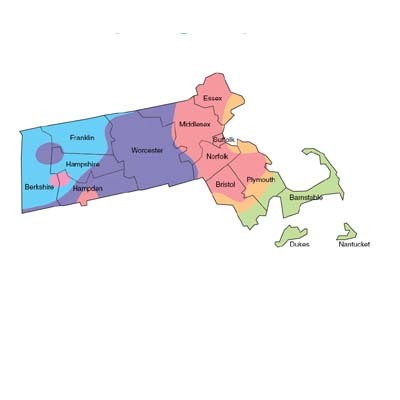 Below is the USDA Zone Map for Massachusetts so you can determine which zone you reside in. Below that are our picks for your state which will do best in your area. Next on this page are tables which list various grasses and their characteristics so you can compare before you decide on your purchase. Click on the product name (ie. Midnight) for more information about that grass and to make your purchase. Grasses Used in Your State You can look up to see what the most popular grasses used in your state are. USDA Zone Map This is a USDA zone map specifically for your state so you can tell exactly what zone you are in. Best Grasses For Your State This feature gives you a list of all the grasses that Outsidepride.com carries that are good for your state. 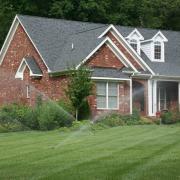 Grass Characteristics Start fine tuning your grass selection based on what priorities you are looking for: drought, shade, texture, water use, etc.